It draws much from Henri Lefebvre’s theory of Space as social product and this work is an experiment to bring “spatial turn” to international relations of Ethiopia and its implication in the making and remaking of Addis Ababa. I apply the three dimensions of “the production of space” such as Space practice, the representation of space and space of representation. (see Schmid Christian Henri “Lefebvre’s Theory of the Production of Space Towards a three-dimensional dialectic” in Space, Difference, and Everyday Life: Reading Henri Lefebvre. Edited by Kanishka Goonewardena, Stefan Kipfer, Richard Milgrom, and Christian Schmid. New York and London: Routledge, 2008). Lefebvre’s first dimension allows considering places as a transnational “lived space” or transnational “spatial practices” resulting from “interaction and communication in everyday life” (see Lefebvre’s Theory of the Production of Space, p. 36). 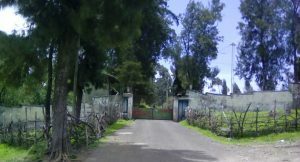 These spaces are produced as a result of direct interaction between people in a neighborhood of Addis Ababa with foreign dwellers such as Cuban soldiers stationed in the former palace of Prince Asrate Kassa. Such spaces are also produced as a result of spatial communication of resident pertaining to, for example, memorial sites such as Ethio-Cuba friendship square. This shows that urban spaces are not a vacuum space. Rather, they are social and “lived space” in which people interact and experience life. 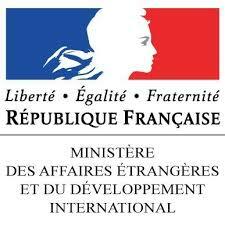 They also create social ties and transnational social interaction despite the formal international diplomatic relation being limited to bilateral state relations. Cuba camp was a product of policy choice to station Cuban soldiers as a result of bilateral relations, which are described as “untied in blood.” Owing to the interaction of soldiers and residence in the neighborhood and also as an unintended effect of this foreign and military policy, the camp however was produced as a “lived space” during the reign of the socialist regime. This space also left its numerous legacies such as children born from Cuban fathers and Ethiopian mothers, broken Spanish to those individuals who used to interact with Cuban soldiers, Cuba as nickname for lighter skin kids and memories of social interaction with the Cuban soldiers. Secondly, places can be seen as transnational “representation of space” which define and elaborate a space in a verbal or visual image form. Places in Addis Ababa have names, which define them as transnational spaces. Names of African states used as street names in the city and there are also neighborhoods, which took the name of states. 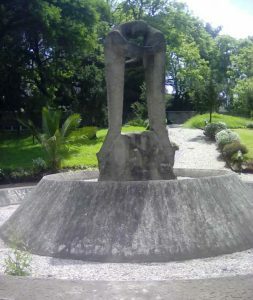 Memorial sites are also produced to commemorate bilateral relation between Ethiopia and other states such as Cuba and South Korea. These “representations of spaces” (see Lefebvre’s Theory of the Production of Space, 37). Therefore operates at the level of discourses. 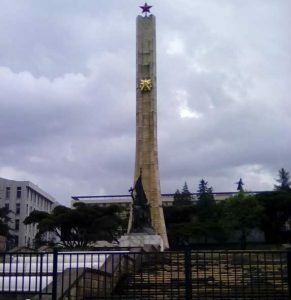 Tiglachin used to represent the triumph of Ethiopian and international socialist revolution in the 1980s during the cold war era and was now renamed as the Ethio-Cuba friendship square to represent the economic and pragmatic relation between the two countries in the age of Neoliberal hegemonic order. The present relations are dictated by the “economic diplomacy principle” born out of developmentalism in Ethiopia and Cuba’s economic interest and demand in diplomatic support from African countries against the US sanction. The survival of Cuba’s socialism in a sea of capitalism and its potentiality to inspire state-led developmentalism against neoliberal hegemony has not yet come out as a form of political relations between the two countries (see Baez Antoio Carmona State Resistance to Globalisation in Cuba. London Pluto Press, 2004). “Additional monuments added to the already existing Tiglachin’s four different parts: monument, an obelisk and two walls with mural arts. The arts on the two walls represent pre-revolutionary Ethiopian and the revolution, which deposed the monarchial regime of Haile Selassie. 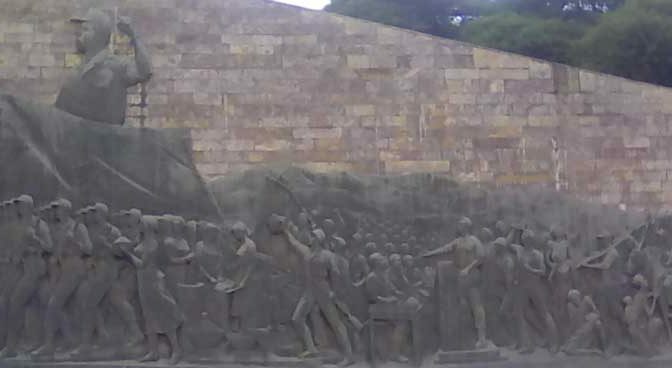 The left wall also depicts present and the future course of Socialist Developmentalism with the mural of a revolutionary leader Mängestu Haile Mariam. Making Addis Ababa more “tirelessly monumental city”. The new additions are four walls with pictures of Cuban soldiers who died fighting for Ethiopia against Somalia. 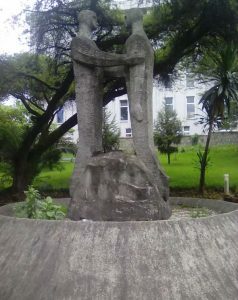 The two monuments represent Ethio-Cuba friendship, which is described by re-evoking the phrase “bonded with blood” (Mengistu Haile Mariam’s Speech in his visit to Cuba Havana, see Ethiopian Ministry of Information and National Guidance PMAC Chariman’s Visit to Cuba Addis Ababa 1978). The two walls and a monument added in the left and right of the already existing memorial sites. The revitalization of the bilateral relations since 1999 has an economic or “developmental” intention but doesn’t spill onto political and ideological solidarity. The space is therefore made to evoke the past solidarity as foundation of the new friendship in the market place. The renaming of Tiglachin signifies that the representation of space and its linguistic and discursive dimension may change without the change of the physical aspect of a space. Therefore the same space can be produced to represent different political and social meanings by altering, renaming and changing the discourse that plays a key role in the process of signification. For example, despite the renaming, Tiglachin is a popular name for the Ethio-Cuba friendship square to date. Third as a process of signification spaces also appear to be “space of representation” which entail a symbolic dimension of spaces. It narrates transnational meanings and “evokes social norms, values and experiences”. As transnational “space of representation” places conveys narration for layered and multiple histories. Despite the politically dictated change in the production of space, erasure and renewal made to reflect the policy option of the present regime, spaces tend to represent multiple meanings. 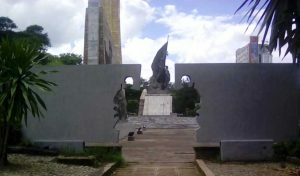 The Ethio-Cuba friendship square still signifies Tiglachin and the Cuba camp though today used for different purpose still signifies its role as royal palace of Asrate Kassa and speaks the presence of Cuba in the neighborhood in 1980s as a result of its “lived space” and representation of the space in association with Cuba today. The discourse representing the symbolic meanings may arise from multiple sources and therefore the re-edition of signs and symbols may not totally reflect the intention of the foreign policy makers. This depicts spaces that are in the continuous process production and re-production but the process erasure is not total. Spaces are generally becoming but they also remain the same in evoking meanings and symbolic representations. Note: Ethio-Cuba relation before Ethiopia’s 1974 revolution was weak and potentially antagonist because Cuba’s Foreign policy towards Africa was guided by international Socialist solidarity and support for liberation movements in Africa including the Eritrean Insurgent movement. See LeoGrande, William Cuba’s policy in Africa, 1959-1980 Policy Papers in international Affairs. Berkeley: Institute of international studies University of California, 1980. Yonas Ashine has been a lecture of Political Science and International Relations, Addis Ababa University and he is now a PhD candidate at Makerere Institute of Social Research (MISR) Makerere University, Kampala, Uganda.